The wait for a smarter, faster way to give your car the complete routine care it needs is officially over. Xpress Oil Change Plus is a new concept designed to respect your time, protect your vehicle’s value, and keep more money in your wallet. A custom-made, state-of-the-art, 12-bay facility that focuses on nothing but quick oil changes, maintenance, and other routine services. 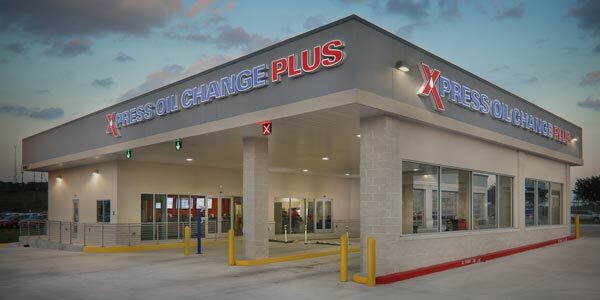 Xpress Oil Change Plus, serving Georgetown, Round Rock, Cedar Park, Austin, and surrounding areas, means your car’s regular service isn’t wedged in line between vehicles with major repairs. Why Are We the Best Oil Change in Georgetown? Travel I-35 through Georgetown and take exit 257. Turn left at the stop sign and travel over I-35 and you will find us on the right. We are the building adjacent to Don Hewlett Chevrolet Buick. Travel I-35 through Round Rock and take exit 257. Travel past the Outlet Mall and you will find us on the right. We are the building adjacent to Don Hewlett Chevrolet Buick. Why Choose Xpress Oil Change Plus? Air pressure checks, inspection, flat repair, rotation & balance, plus a huge selection of new tires with national price match. Proper vehicle alignment can improve gas mileage, make tires last longer, and improve handling. Battery failure can ruin your day so we offer battery testing, maintenance, replacement and recycling services to keep you on the road. You won’t be watching the clock while your vehicle is in the shop. You’ll be too busy enjoying our cushy waiting lounge with drinks and snacks, browsing our collection of antique autos, and watching your kids play in the children’s area. Maybe you won’t be ready to leave when your car is. We say the sooner you see Xpress Oil Change Plus, the better!